Hamas is facing the biggest demonstrations yet against its 12-year rule of the Gaza Strip, with hundreds of Palestinians taking to the streets in recent days to protest the dire living conditions in the blockaded territory. "There is no political agenda at all," said Amin Abed, 30, an organizer who has been forced into hiding. "We simply want to live in dignity," he said by telephone. "We just ask Hamas to ease the economic hardships and tax burdens." Hamas, which seeks Israel's destruction, seized control of Gaza in 2007 from the forces of Palestinian President Mahmoud Abbas. Israel and Egypt imposed a blockade, a step meant to prevent Hamas from arming. The blockade, and three wars with Israel, have ravaged Gaza's economy but done nothing to loosen Hamas's grip on power. Unemployment is over 50 per cent and much higher for young university graduates like Abed. Tap water is undrinkable, electricity is limited and travel abroad severely restricted. Hamas's cash-strapped government recently raised taxes on basic goods like bread, beans and cigarettes. Protesters accuse Hamas of corruption and imposing the hefty taxes to enrich itself. They used social media to organize protests last week with the slogan "We want to live!" "These protests were the largest, the longest and the most violent in terms of Hamas' suppression," said Mkhaimar Abusada, political science professor at Gaza's al-Azhar University. "This was a message of anger to Hamas that the situation is unbearable and that it must reconsider all its policies." On Monday, Amnesty International reported that hundreds of protesters have been beaten, arbitrarily arrested, tortured and subjected to ill treatment. Journalists and human rights workers, including a researcher for the London-based organization, were also roughed up, Amnesty said. "The crackdown on freedom of expression and the use of torture in Gaza has reached alarming new levels," said Amnesty's Middle East deputy director Saleh Higazi. 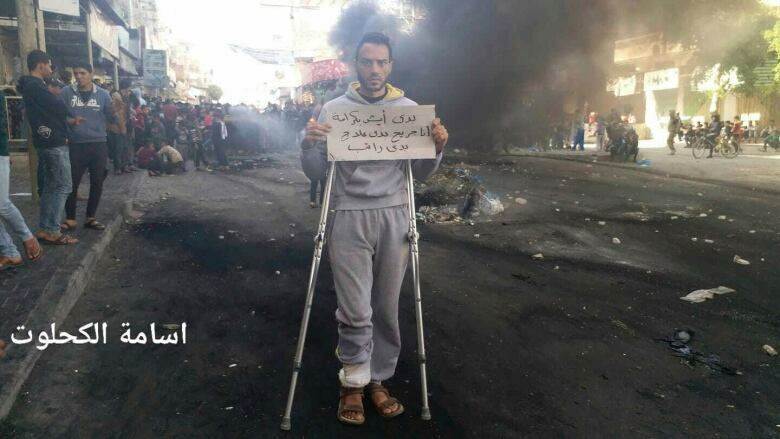 Osama al-Kahlout, a journalist with the local news site Donia al-Wattan, last week published a photo of a protester on crutches raising a sign that said "I want to live in dignity." The next day, he was detained as he went live on Facebook during another protest. Al-Kahlout said police smashed furniture, seized his belongings and beat him on the way to the police station. "I'm a journalist," he said. "I don't regret covering it." He said he was released after a meeting with the police chief in which officials "advised" journalists not to cover the protests. El-Buhissi filmed the incident last Thursday when she saw Hamas dispersing some of her neighbours who had hoisted banners against tax hikes. Her family opened the home to allow youths to escape the police. "This is what drove the police crazy, and that's why they stormed our houses," she said. "I felt I have to film to prove what was going on." The Brussels-based International Federation of Journalists reported Monday that 42 Palestinian journalists "were targeted" by Hamas forces in the past five days. The abuses included physical assaults, summons, threats, home arrests and equipment seizures. The official Palestinian Authority news agency Wafa reported Monday that the spokesperson of Abbas' Fatah movement in Gaza, Atef Abu Saif, was badly beaten by Hamas. 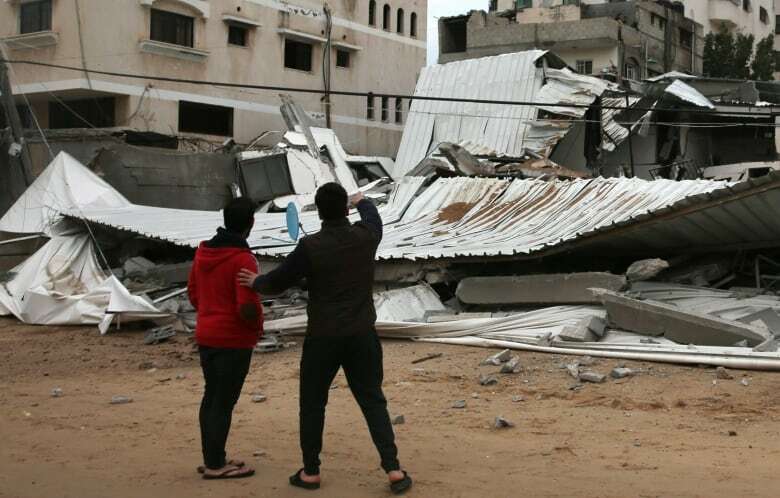 "This is worst crackdown in Gaza since the Hamas takeover in 2007 in terms of its scope and cruelty," Dwaik said. On Tuesday, Hamas issued a brief statement "rejecting the use of violence and repression against any Palestinian for practicing his legitimate right of expression." Abed, the protest leader, said Hamas has stormed his family's house and delivered an arrest warrant for him to his father. "Hamas doesn't want us to scream. It wants us to die in silence," he said.